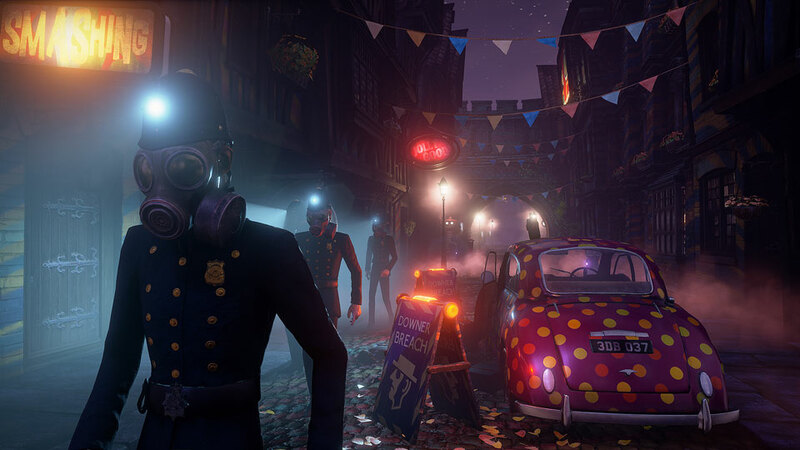 Compulsion Games has provided details of We Happy Few‘s post-launch content ahead of its release on Friday, August 10. In development is a free update that will add a Sandbox mode to the game. Players will be able to customize We Happy Few‘s world, some of its rules, and will be able to play as a Wellie. “This mode will bring back the systemic, sandbox world showcased in the early days of We Happy Few,” Compulsion explained. Although the Season Pass is currently only available as part of We Happy Few‘s Deluxe Edition, it’ll be available for purchase separately after launch.